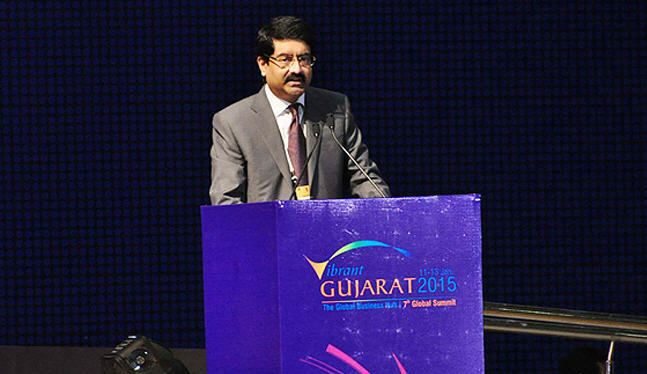 Mahatma Mandir, Gandhinagar – 11th to 13th January, 2015 was the center of attraction for many as it hosted the Vibrant Gujarat Summit 2015, the seventh edition of the great Indian business meet. This event takes place once every two years and is the largest corporate conclave in India which draws the biggest tycoons and diplomats from more than 100 countries. The event witnessed leaders from across the world – including US Secretary of State John Kerry, UN Secretary General Ban Ki-moon and World Bank head Jim Yong Kim – and over 50 CEOs. The brand Vibrant Gujarat Summit which started as just an investors summit has turned into an ideal stage for knowledge sharing, social and business transformation mainly because the last six summits have been able to bring about a progressive change in the governance and investor climate, thus turning Gujarat into a “Global Business Hub”. 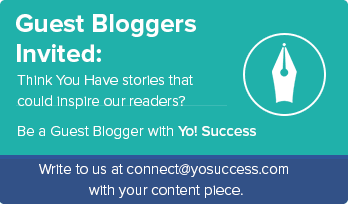 The enormous acclaim that the past events received has taken the summit of 2015 to a new level. It has brought Gujarat to the center stage of the world and provided a lucrative opportunity to the participants to showcase and see the potential of Gujarat in various sectors. Interestingly, the summit also turned out to be a platform for other states and countries to present their strengths, highlight business opportunities and facilitate knowledge dissemination. Vibrant Gujarat Summit has become first of its kind where an entrepreneur gets the opportunity to meet people of great importance. This has become a place where a farmer can listen to the UN secretary general while they speak about their views on sustainable steps that could be taken to fight hunger and poverty. Other than that, the summit 2015 is one of first such events of India where policy makers, industry leaders, and renowned academicians from all over the world are seen constructively interacting, networking and creating possibilities to work together. The event which took off in the presence of Hon’ble Prime Minister Narendra Modi saw large multinational companies from India and abroad announcing huge investment and job creation plans. 21,000 MoU’s were signed during the event which would bring in an investment of INR 25 lakh crore to India. PM Modi pointed out that sustainable & inclusive growth and fluctuations in the global economy are of grave concern and need immediate focus. Many countries are keen to work with India on issues ranging from poverty to ecology. He also pitched “Vibrant India” to the global investors showcasing the possibilities the country can offer. Lastly, PM promised to make India the “easiest” destination to do business – combining an easy-to-understand tax system with an unsurprising, crystal clear and fair policy environment. Addressing the summit Indian Finance Minister- Arun Jaitley confirmed that the government is expecting to implement GST (Goods & Service Tax) across the country by next year. All the major players, investors and think tanks have since long predicted that GST will turn out to be a game changer for India which would simplify taxes while broadening the tax base. Not only that, it would also add as much as 2% points to the size of Indian economy. 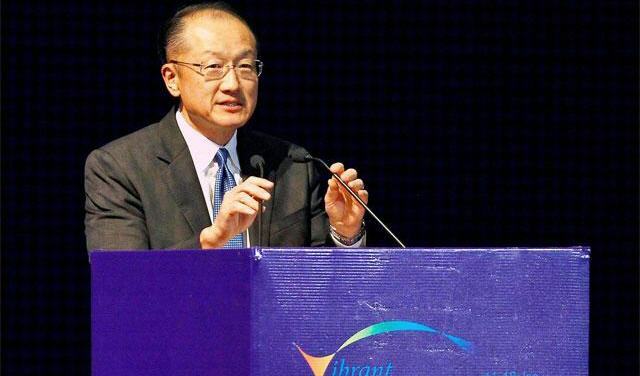 President of World Bank – Jim Yong Kim who was also present for the event predicted that with the steps that are being taken by the Modi government, Indian economy might see a growth rate to 6.4% and above in coming years. 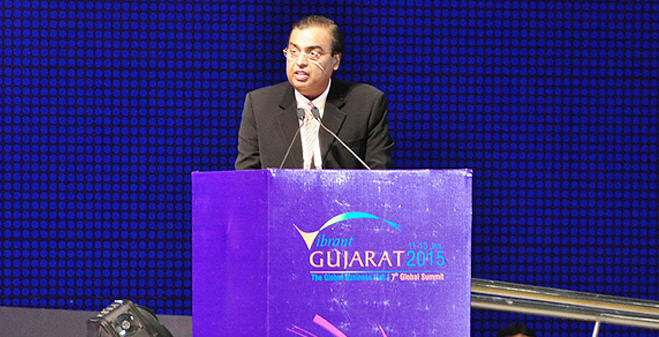 - Mukesh Ambani – Chief of Reliance Industries, promised an investment of Rs 1 lakh crore in 12-18 months across businesses. 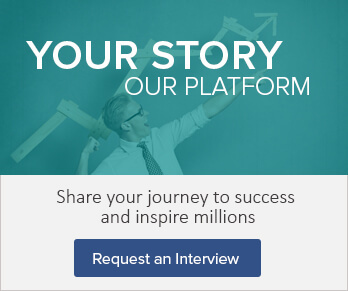 - Kumar Mangalam Birla- Head of Aditya Birla Group, announced investment plans for Rs 20,000 crore in the state. 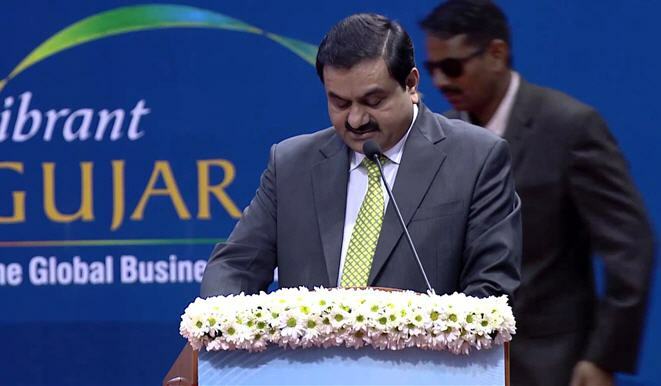 - Gautam Adani – Chief of Adani Group, announced Rs 20,000-crore investment by 2020 on top of the Rs 25,000-crore spending they had earlier announced on the first day. The U.S. delegation led by the US Secretary of State- John Kerry joined the summit with 127 delegates and announced that 60 firms will be investing $41 billion in India in the next 3-4 years. This delegation included some of the major players like Boeing, Lockheed, Textron and their senior executives, IBM, CISCO, Dow Chemicals, Ford, Abott, General Motors, Peabody Energy and Cairn Energy. Master Card – U.S. based Payment Solution Provider signed an agreement for strategic co-operation to speed up electronic payments processes which involves the government, businesses in general and the transportation & tourism industry. The Australian delegation comprising of 450 members, led by Australian Minister for Trade and Investment Mr. Andrew Robb & Premier of New South Wales Mr. Mike Baird signed various MoU’s with the Gujarat government for establishment of closer bilateral relationships in various fields including education, skill development, sustainable urban development, clean technology & water security and also to increase cooperation between Gujarat & Australia in multiple sectors such as education, infrastructure, agriculture, etc. The primary objective of these MoU’s is to motivate the students and experts from both the sides and to increase bilateral relationships, trade, and investments. A joint declaration was signed by India and Israel for ‘the Indo-Israel Agricultural Cooperation Project’ (IIAP) which has been functioning since 2008 and will be entering its third phase. Both the countries together will be setting up a ‘joint team’ who will finalize the three years action plan (2015-2018) and will submit the action plan by March 2015. Lastly, a high-level delegation from Japan and France also attended the summit. Japan is a partner country in the Vibrant Gujarat Summit of 2015 and French on the other hand, assured further collaboration in the food industry and also promised to setup at least 5-6 hotels in the state by the year end. 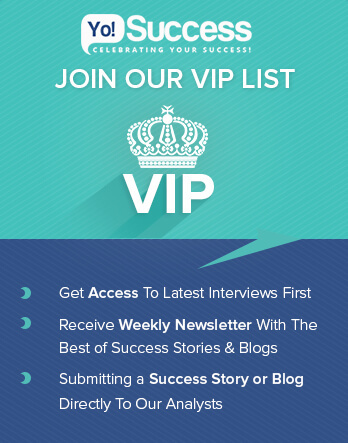 Let’s give you a brief idea about the past six summits that have took place and what have been the growth trajectory of this summit till now. Initially it was just an investor’s summit to boost the dying Gujarat economy and an attempt to change the face of Gujarat since the riots of 2002. Although, the summit did not raise any eyebrows or turned tables but for starters did decent business. The 2003 summit saw 76 MoU’s for 80 projects being signed worth Rs 66,068 crores and the major benefiters of this summit were Chemical and Petrochemical with 18 MoU’s, Power with 13 MoU’s and Education with 8 MoU’s signed which totaled upto an investment of over INR 37,000 crore. Hon’ble PM and the state of Gujarat collected INR 1,06,160 crores & INR 4,65,309 crores respectively from the summit in terms of investment. During these editions as much as 227 and 363 MoU’s were signed where the sectors which benefitted the most were Agro & food processing, port, Engineering and Auto. 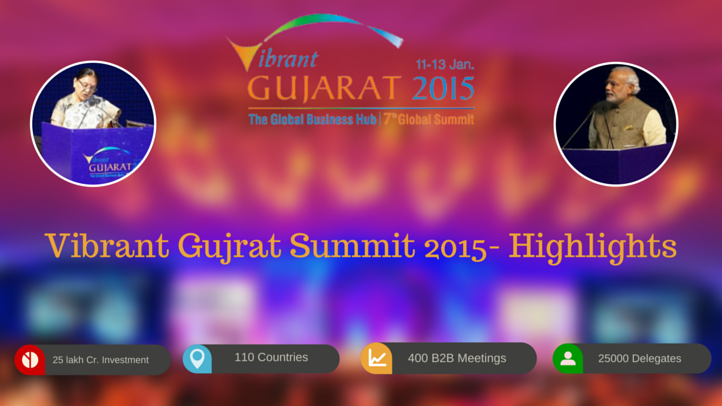 Gujarat had already become an Indian & Global Business Hub. The summit of 2009 & 11 saw a huge turnout and saw over 3300 MoU’s worth Rs 12,34,898 crores and 8380 MoU’s worth Rs 20,83,182 crores being signed respectively. Business tycoons and leaders from many parts of the world were completely mesmerized with the way Government of Gujarat had transformed itself. In these summits; urban development, agro and food processing and engineering were the ones which again gained major attraction. And lastly, the sixth edition of the VG summit was an epitome of success which saw 17,719 MoU’s worth 40 lakh crore being signed. This took the summit and Gujarat in general to another level and set an altogether a different benchmark for others to achieve. 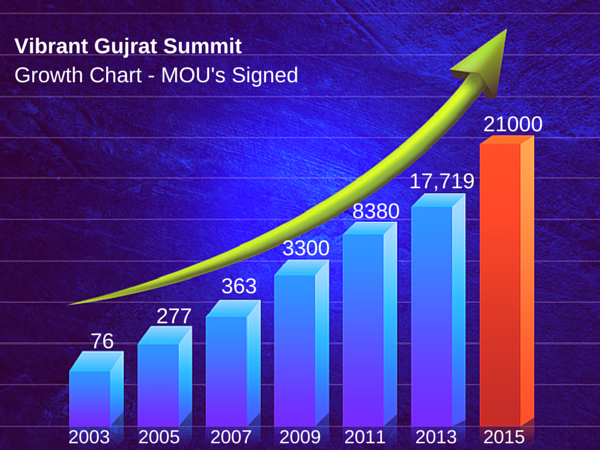 Now, if you see, the summit has successfully managed to achieve great heights and from merely 76 MoU’s to a humongous 17,719 MoU’s has grown by more than 1000% in the last 12 years. Due to its success not only has the government but all the businesses surrounding the areas which have received the investment have also flourished. The primary focus of this summit was innovation, technology, Water Security, Climate Change, Sustainable Development, Smart Cities, health and Sustainable Energy. 21,000 MoU’s were signed during this event focusing on areas such as IT, Agriculture & food processing, urban development, engineering & auto, infrastructure, education and almost every industry around. These MoU’s along with the policy changes will open the gates for foreign investors to India and vice versa. And what most people don’t see is the fact that, on a larger scale the major beneficiaries of this summit will be the SME’s (Small & Medium Enterprises). Also this summit is attracting attention of major investors to India. 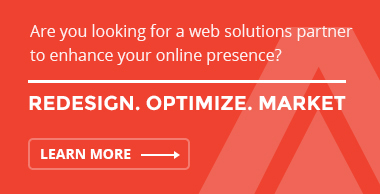 This will help further improvement of the Industry rules and policies helping startups flourish too. 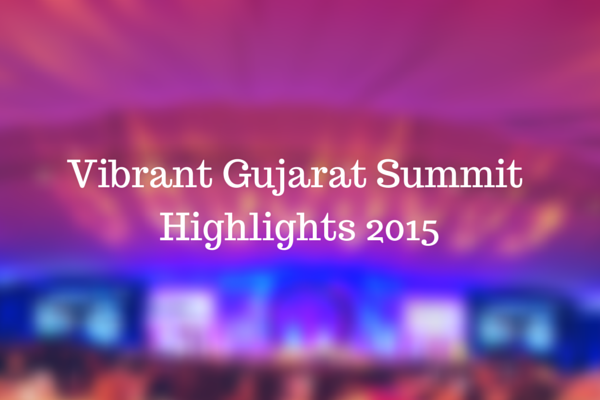 All-in-All, Vibrant Gujarat Summit of 2015 is win-win for all!